Why not put our skills to work for you? Jennifer Cook is a professional Realtor with over 15 years of experience in the Tampa Bay market. She specializes in luxury and waterfront homes, beachfront condos,investment properties in bulk and short sales. 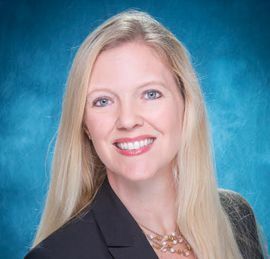 Her areas of expertise include South Tampa, Hyde Park, Palma Ceia, Bayshore Blvd, Westchase, New Tampa, St. Petersburg and the Pinellas county beaches. She is originally from Denver, Colorado and her relocation to Tampa provided the perfect insight into changing lifestyles and the challenge of a career in real estate. Prior to joining Bahia International Realty, Jenn was named the 2005 leading listing agent for a major Tampa real estate firm, gaining nearly $10 million in listings during that year. Her Bahia team has grown the company and is now one of the top producing Realtors in the Tampa area. Fluent in Spanish, Jenn has developed a multicultural client base of referral business. Her customer-first approach, as well as her bi-lingual fluency, enables Jenn to stand out as a leader in Tampa Bay's diverse real estate market. Jennifer holds a Bachelors Degree in Communications and Spanish from Regis University in Denver, Colorado. "Buying a home is sometimes a complex undertaking. Hiring me, a real estate professional, will help save you time and money. Together, we will determine your needs and wants and find or sell your home. At Bahia, our promise is to make your real estate experience stress-free and agreeable. I personally will make sure that you get the most out of your next real estate transaction by taking advantage of cutting-edge technology, products and services." Born and raised in Caracas , Venezuela, Raul Aleman has successfully worked in the Florida real estate field for over 10 years. 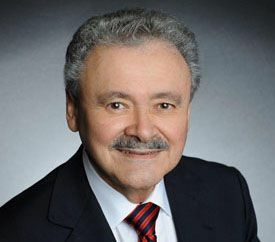 Before establishing the Bahia International Realty, Raul was affiliated with Charles Rutenberg Realty, growing his real estate office into a $5 million volume business. Raul is recognized within the Tampa real estate community as a premier real estate agent and consummate professional, serving Tampa home buying and selling needs for residential and commercial clients alike. An added benefit of working with Raul and the Bahia International Realty is that he grew up steeped in ways that go beyond "se habla español." Although there are many Tampa real estate agents who can speak Spanish or offer Spanish-speaking agents, Raul has the ability to speak "tu idioma." This includes offering you customized Spanish-language marketing programs to buy or sell your Tampa property. This language skill, combined with his real estate expertise and knowledge of Tampa Bay neighbourhoods, sets him apart from other Tampa real estate agents. Raul holds a Masters of Science in Mechanical Engineering from the prestigious Massachusetts Institute of Technology (MIT). Prior to his involvement in Real Estate, he was one of the Executive Directors (CEO) at Petroleos de Venezuela S.A. (PDVSA), one of the largest oil companies in the world. In addition, he was an associate professor at the prestigious universities "Universidad Central of Venezuela" and "Universidad Simon Bolivar" in Caracas, Venezuela. "Helping you buy and sell Tampa real estate is not just a full-time job, it's my passion! And nothing gives me greater satisfaction than to help you realize your dream of home ownership in this wonderful part of South Florida. We work with you, one-on-one, to determine not just what you want in a house, but also what you want in a home. From that point, you can rely on me and the Bahia International Realty team of real estate professionals to represent your best interests to those involved in any real estate transaction, to get the best possible deal."